Motors: The treadmills have exceptional motors and these motors range from 3-4 HP. The top end versions like the T630 will get you great top speeds while running quietly at the same time. These motors are some of the same motors that you might expect to find in some of the high-end treadmills that are extremely expensive. 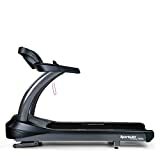 Console: With wide LED consoles, the treadmill is exceptional and you will be able to see everything needed on them. The consoles are also user-friendly and you could easily navigate to wherever you need to be in an instance. The multiple programs have been scientifically developed and they include cardio tests as well as specific programs that could target specific body parts. Tread belt: We love the large tread belts and this makes it perfect for anyone looking to start working out. The average tread belt is 58 x 20 inches, while the more advanced models like the T630 has a tread belt of 61 x 22 inches. These tread belts are extremely durable as well, but they may lack some of the more advanced shock absorbing features. 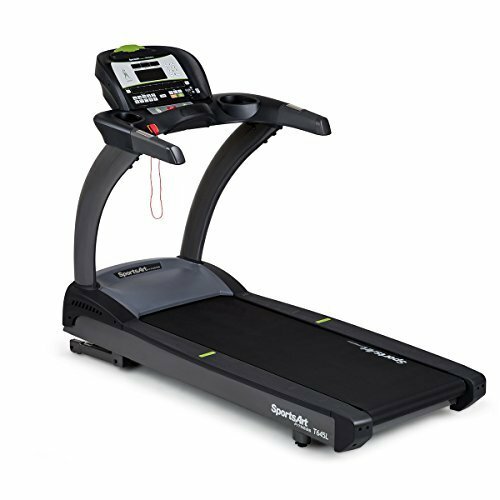 Durability: These treadmills are extremely durable as well. They might not be on the same level as the ultra-luxury treadmills, but they are made from commercial grade materials that should keep you going for multiple years. The treadmills cannot be folded and they are quite heavy as well, but they have great weight limits with some of the top models being perfect for individuals of up to 450 pounds. Incline: Since most of the console is electronic, you will be able to adjust the inclination with the console as well. Depending on the model, the level of inclination you can choose from will vary, but this will be a great way for you to get into fitness the slow way with walking as well. Additional accessories: Many of these treadmills also include some additional accessories. 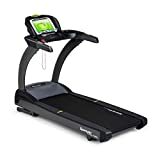 These will be with the more expensive versions, but since these are almost the same as the luxury treadmills, you might as well just add them. The heart rate monitor is generally included and this is made by Polar, one of the top brands when it comes to these monitors. Additionally, you could also add the Plus Deck, which adds up to 305 more cushioning to the surface and will help absorb shock and reduce fatigue. 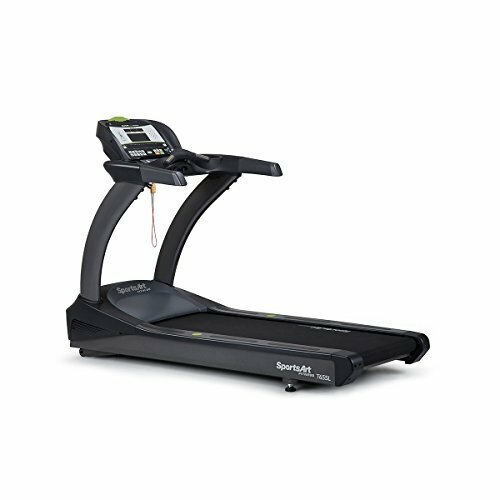 Warranty: These treadmills should have you covered when it comes to the warranties. The 7-year electronic warranty is perfect and will give you peace of mind, while the 1-year warranty on the labor, will save you a few bucks when it comes to services. The treadmill should be serviced often or at least twice each year to ensure everything is still running smoothly. The frame will be covered for life with the motor and this shows a ton of confidence. Fitness programs: These fitness programs are perfect for the fitness lover and they are based on the original fitness programs used in the military. These also include your different runs and the test that will see how fast you are. If you are training for the military and you would like to join one day, this feature is something you need to look for as well. The tests are for marines, navy and other divisions. These are the 8 main features you could expect to find in these treadmills. 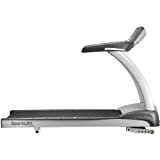 The features will certainly set the SportsArt Treadmills apart from the rest of the competition. The only real downside some users might find is the price of the upper-end models. 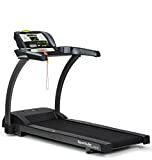 These treadmills are still cheaper than your luxury models, but they are expensive for the average fitness enthusiast just looking to shed a few pounds. These SportsArt treadmills are definitely something that you might like to invest in. The treadmills are better for groups of people and they should be used often if you are willing to pay such an expensive price for them. 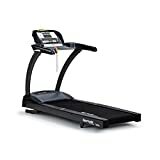 We cannot choose the best one as they all have the same features included with minor changes like the tread belt being smaller or a different type of motor.The addition of the military fitness programs do set them apart from the rest of the treadmills but also spikes the costs quite significantly when compared to the other models. We would like to recommend them all for the avid fitness enthusiast and for fitness institutions. If you are getting for military purposes, this will also be a great treadmill to start with.We would like to thank you for reading this article and we do hope that you have found one of these treadmills helpful to meet your needs. 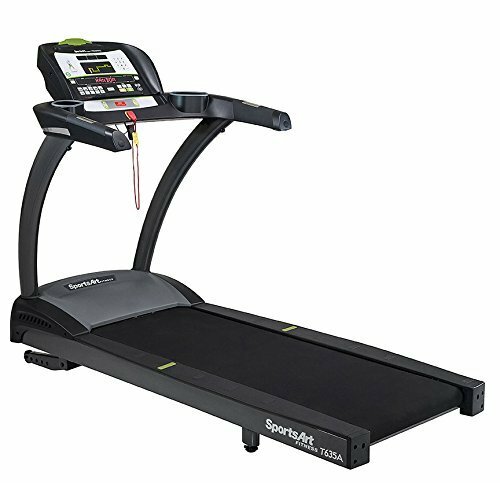 Please let us know in the comment section below if you have or if we have missed any of your favorite SportsArt Treadmills. Please also let us know if you have experience with them and how you found them to be.